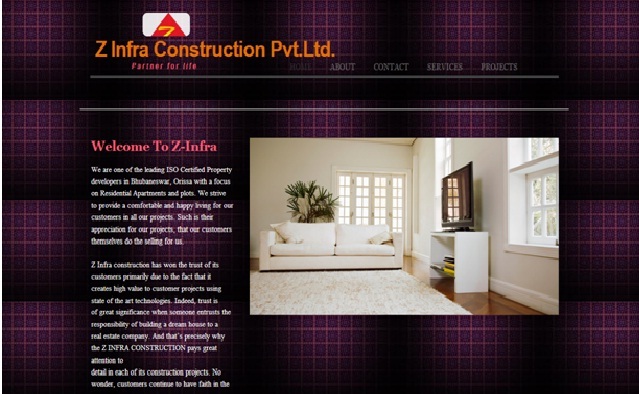 Z Infra Construction Pvt Ltd is a certified real estate company in the city Bhubaneswar, Odisha. This company provides all types of residential projects such as lands, plots, simplex, duplex, villas, resorts, and commercial complexes to their valuable customers in the best locations of the State. The Managing Director of this company is Mrs Rashmita Patra, Chattered Account is Mr. Amiya Pati, Project Co-ordinator is Pramod Kumar Jena, Legal Advisor is Dayanidhi Pradhan, Chief Genral Manager is S.N. Dalabehera, and General Manager is M. S. Sahoo. Thank you so much James Nelson..